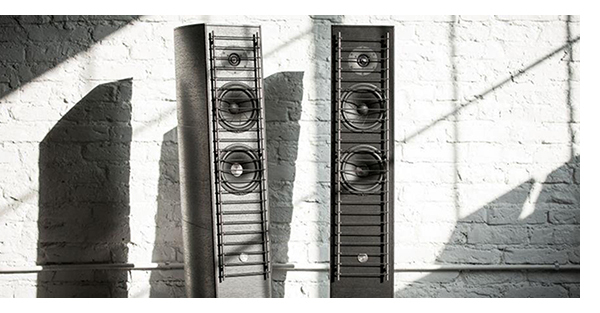 GamuT RS5i Speakers Our speaker of the year for 2015! I’m confessing an honest bias when I mention that I fell in love with GamuT speakers about six years ago and have been using their top of the line S9 as a reference speaker for the last five. With the perfect balance (for me, anyway) of dynamics, extension and coherence combined with a highly musical tonality, they tick all the boxes. But they are massive and need a large room to give their top performance. They also feature a hefty price tag, around $120,000. The new RS5i shaves the size to something more compatible with a wider range of rooms, and a much lower price, $33,990. Still not inexpensive, but more approachable, to be sure. GamuT’s new RSi speakers build on all the strengths of the S series, and while the cabinets look the same from the outside, everything is different from the cabinet construction, to the drivers, including the internal wiring. 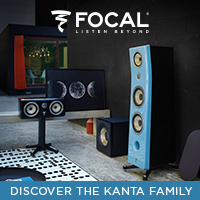 No stone was left unturned to wring even more performance from these fine loudspeakers. Every aspect of these speakers exhibits fanatical attention to detail, reflecting the precision and pride of their construction. This 2 ½ way speaker is claimed +/- 3db from 26hz to 60khz and while I no longer possess the canine hearing to hear 60k anymore, our Stereophile test disc confirms 30hz with ease and very usable output when playing 25hz and 20hz tones, though by 20hz, the output is dropping more dramatically. This was where my S9s had the advantage. Still these are impressive results for modest sized floorstanders, weighing in a just a touch over 100 pounds utilizing a 7-inch woofer with a woodfibre cone with the signature GamuT wood dust cap and a 7-inch sliced paper cone midwoofer, impregnated with GamuT’s proprietary oil. 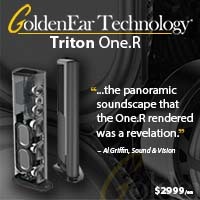 The highs are taken care of with their ring radiator tweeter with the system features an overall sensitivity of 88db. Sonic performance aside, the RS5is are stunning to behold. Kvist Industries of Denmark is a financial partner of GamuT and they are known for producing the world’s finest (and most expensive) furniture featuring classic Danish style. The RS5is cabinets utilize 22 separate layers of wood, formed into shape with high pressure at such a high temperature, that the natural glue in the wood fiber melts together, to produce a uniform cabinet that retains its shape when the heat and pressure is removed. The RS5i is available in the matte black Onyx finish that you see with our review pair, as well as Ivory, Ruby and Maroon. Those curious about the wooden dust caps on the cones, need not worry that they are for aesthetic reasons alone. These wooden caps are individually sorted to maintain weight and density and it works to enlarge the contact point between the voice coil former and cone with the additional benefit of stiffening the cone at the same time. The GamuT RS5is, just like the other GamuT speakers we’ve reviewed are extremely easy to drive, and even though they have a sensitivity of 88db, can be driven to decent level even with a 20wpc amplifier – tube or solid state. They are not only one of the most amplifier friendly speakers we’ve used; they are also one of the most cable friendly speakers we’ve used. 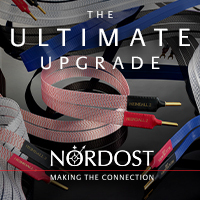 Trying a range of cable from Cardas, Nordost, AudioQuest and Shunyata, all had slightly different tonal characters, but none were outright bad. My only suggestion because of the larger than normal screw terminals that are featured on the RS5i (and other GamuT speakers as well) is to get your speaker cables re-terminated for bi wiring with bananas. 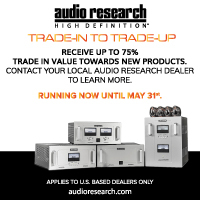 This is the easiest way to get the most performance from these speakers. As with most loudspeakers, I like to adjust the speakers in the room for smoothest bass response and then fine tune for the best balance of LF extension, mid bass smoothness and maximum stereo imaging without the soundfield falling apart. However, the GamuT speakers need attention paid to one more parameter to achieve the maximum effect – attention to the rake angle. 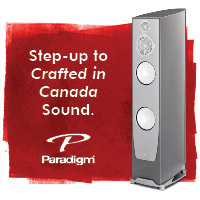 The finely threaded adjusters in the stainless steel speaker base allow easy fine adjustments. Once the rake angle is tuned to perfection, it’s exactly like nailing VTA on a fine phono cartridge; the speakers then disappear into the room. 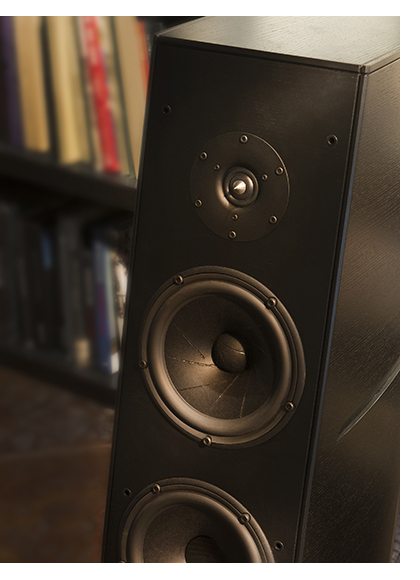 The way large GamuT speakers disappear in the room like a fine minimonitor has always been one of their finest achievements. Once optimized, they not only disappear, but their other strength becomes instantly apparent. 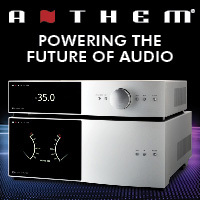 The crossover network on the RS5i blends the drive units seamlessly, with the midwoofer going from about 200hz all the way up to almost 8khz, and according to the RS5s designer with linear phase response to this point as well. Yes, rake angle is critical to wring the utmost performance out of the GamuT RS5i, but optimizing these speakers brings an additional benefit. The better they are adjusted for on axis performance, the better they sound in other room positions. These are definitely “full couch speakers.” Unlike any of my favorite electrostatic speakers, that only deliver their best performance to one person in the middle of the couch, the RS5is sound awfully good no matter where you are sitting on the listening couch, and never fail to impress, even when sitting on the floor, well off axis. Everyone at the party can enjoy these speakers. The smoothness in Princes voice on “Damn U” is rendered in my listening room exquisitely with a proper sense of height, never overblown, and the separation between Roberta Flack and Donny Hathaway’s vocal tracks in the classic “Where is the Love?” is simply amazing. 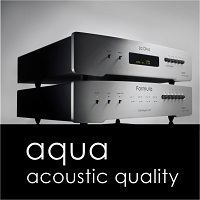 These speakers exhibit a level of timbral realism that is uncanny, especially with vocals and acoustic instruments. The RS5is are not limited to any particular type of music, proving just as faithful to solo vocals and acoustic instruments as they are to heavy rock, electronica or hip hop. Chuck D’s voice is particularly haunting, spinning the Public Enemy classic Yo! Bum Rush the Show, and the tire squeals bounce back and forth from speaker to speaker, sounding as if the car is right outside. Yet the cannons at the end of AC/DC’s “For Those About to Rock” punch straight to the gut, with my Pass Xs300 monos pushed to their limits, meters bouncing. 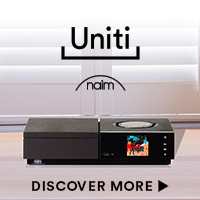 GamuT takes the same lossless approach with the RS5is crossover network as they do with the enclosure. Some speakers have highly complex networks; that while doing an excellent job at harmonizing the drivers, soak up a lot of amplifier power. 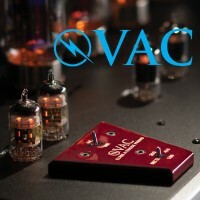 This usually requires a high-powered amplifier with high damping factor to give the best performance. While the RS5s certainly play louder with big amplifiers, they still deliver excellent performance with as little as 20 watts per channel. 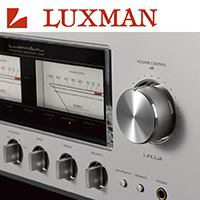 The high degree of resolution that the RS5is bring to the table makes it incredibly easy for you to discern between component and cable choices, so fine-tuning the GamuT speakers exactly to your liking will be easy. 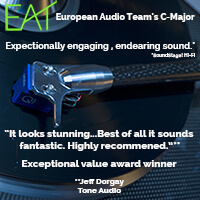 During the course of this review, I auditioned AudioQuest, Cardas, Chord and Nordost cable, with all having very distinct sonic signatures, ranging from slightly laid back to slightly forward. I was able to achieve the same distinctions with the different electronics mentioned above. 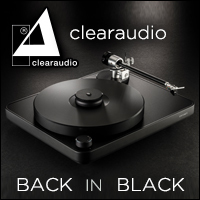 Even with a more forward sounding system, the RS5is have such a natural tonal rendition, they will never feel as if they are grating on your ears, and even after long listening sessions never prove fatiguing – making them excellent reference speakers. Think of it more like seating placement; using them with warmer, more forgiving equipment and cables puts you further back in the hall and more revealing, nuanced gear and cable closer to the front five rows of the hall. Your preference, room and careful auditioning will determine the correct mix for you. Interestingly, the real strength of the GamuT RS5i speakers is their chameleon like ability to reveal whatever is connected to them, and the nuance of whatever music they are called upon to reproduce. 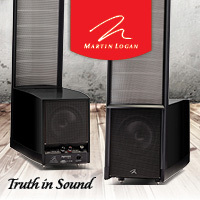 This is a speaker that may not grab you as quickly as one with a more tilted frequency response. The more music you listen to, the more special they become. As with the larger S9, the GamuTs get out of the way, becoming little more than a conduit to the music served up, and that’s the highest compliment I can pay them. I’ve heard a few speakers slightly more dynamic, and only my Quads deliver slightly more coherence and detail, yet they throw a much bigger soundstage in all three dimensions. The RS5i’s are tough to beat in overall performance. As I said at the beginning of this review; I’m biased towards the GamuT speakers, they offer everything I personally enjoy in a pair of speakers, in abundance. But as I mentioned in last issue’s publisher’s letter, you should never buy anything just because I think it’s awesome. However, I can’t suggest the GamuT RS5i speakers highly enough and I’ve put my money where my mouth is – I’ve purchased the review pair. 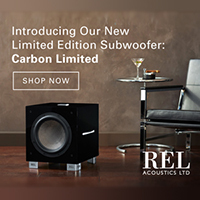 At the recent Newport Beach audio show my old boss, TAS editor Robert Harley mentioned the smaller version of these speakers, the RS3i as one of his favorites at the show, and Robert is a tough cookie when it comes to this kind of thing. 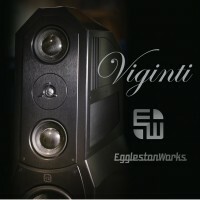 Should you take the time to audition a pair of GamuT RSi series speakers, I truly hope you enjoy them as much as I do. They are our choice for Speaker of the Year in our upcoming awards issue.